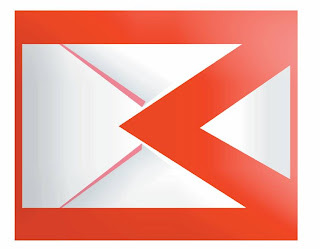 Google launch Gmail M-velope - video chain mail! 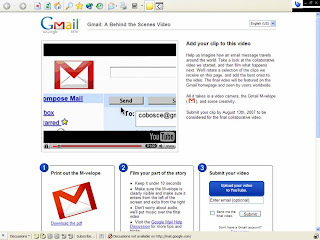 Google are experimenting with video in Gmail. They are encouraging users to submit a clip of 10 seconds or less featuring themselves delivering an 'M-velope' created from the image below. (available as a pdf from the web link below.) Users are given the option to submit their clip to You Tube and the best entries will be spliced together to create a full length video. This will then be publicised on You Tube. Nick Burcher thinks: "This is a clever way for Google to cross-promote products and will be an interesting exercise. If successful I have no doubt that this will be used to show how Google can successfully execute brand campaigns and special projects. I guess the aim is to show that they are more than a one click pony!"